We are delighted to present Mercedes Helnwein’s fourth solo exhibition at the Molesworth. Her latest body of work continues her own very singular exploration of the iconography of the American childhood and adolescence. “Coming-of-age stories (in any art form) are always some of the best,” Helnwein says. “It’s that weird, fleeting part of one’s life that somehow has the power to impact/haunt all the rest of it. A time of debilitating passion, hormones, freedom/lack of freedom, and the incurable, ever present struggle to be ‘cool’. You look back at it and you see an extra-terrestrial version of yourself – same person, different planet. “It’s the part of your life where you are still entitled to your dreams and the future is yours, but also, where parents and teachers micromanage the show, and some jerk on top of the school food chain can make your life a living hell. Mercedes Helnwein was born in Vienna, daughter to renowned painter and art provocateur Gottfried Helnwein. She later moved to Ireland with her family, where she spent her teens drawing, writing and absorbing influences, which range from the Southern Gothic to the cartoons of Robert Crumb; from Nineteenth Century Russian literature to American motel culture and the Delta blues. The result is a style distinctly her own – unsettling, direct and quietly humorous. In 2003, she added Los Angeles as a second home. 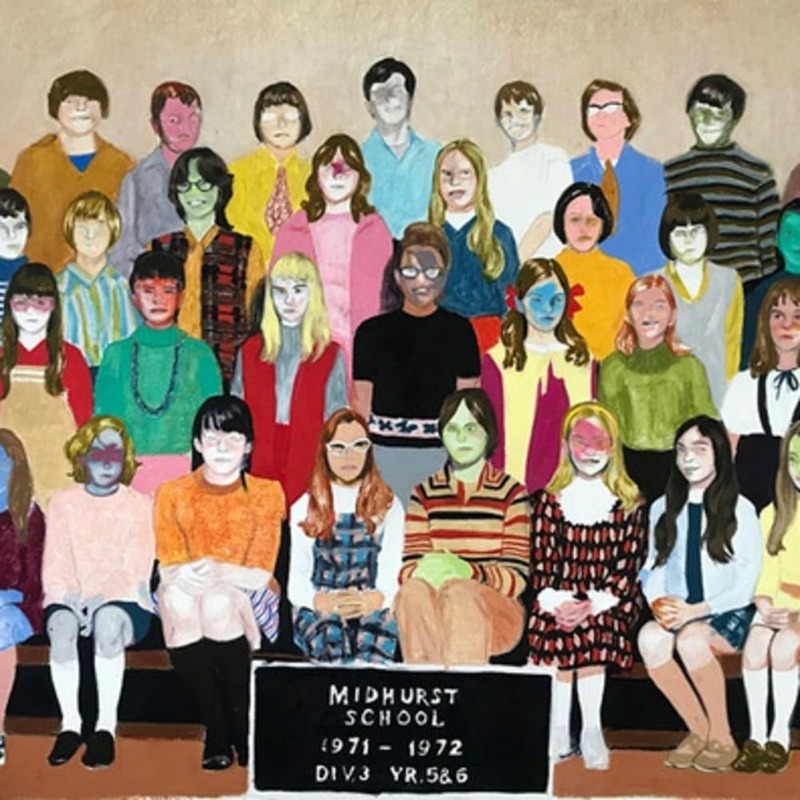 Teaming up with friend and photographer Alex Prager, Mercedes Helnwein began exhibiting her art regularly around L.A. in unorthodox one-night shows. Her intricate pencil drawings of weird goings-on soon began to attract a strong following, making her a vital presence the L.A. art scene. She followed these shows with solo outings in Berlin, London and twice at The Molesworth Gallery in Dublin. Mercedes Helnwein currently divides her time between downtown Los Angeles and Ireland. Her work is in many important international collections, while her most recent exhibition in London was bought out in its entirety by Damien Hirst, who is amassing one of the UK's most important collections of contemporary art.